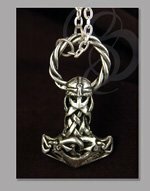 Mjolnir, mighty weapon of utter destruction for the Norse god Thor, was an essential talisman for the Dark Age Viking and Anglo Saxon warrior. The Futhork runes inscribed upon the knotwork dragons read "Thor's Hallow. 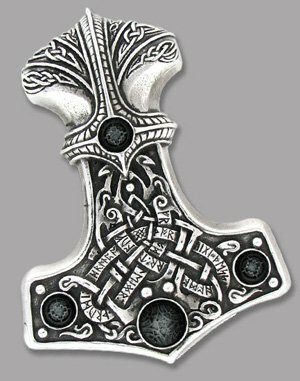 A Blessing on this Hammer, charged with the magic of the Thunder and Lightning." 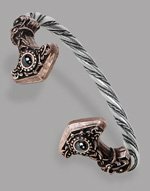 Enhanced with black pewter cut gemstones. 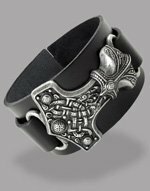 Essential metalwear for the viking at heart. 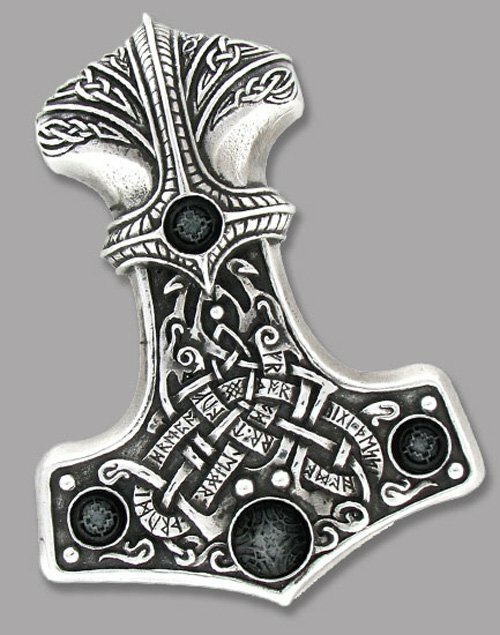 Large, pewter buckle of Thor, the Viking war god's all-destructive hammer, with black pewter cut gemstones. 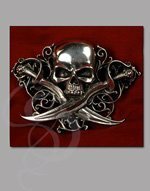 Belt loop and prong on the back for fitting onto standard, 1 1/2-inch belt straps.